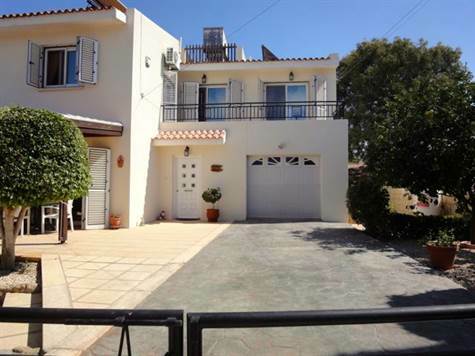 Paphos Town, Paphos - This custom built 3 bedroom detached villa is located in a quiet residential area, a few minute’s drive from Paphos Town and the International School. Off the lounge is a large kitchen with breakfast bar which is well equipped with lots of cupboard and worktop space. The washing machine and dryer is housed in the separate utility room with easy access to the rear of the property.